She has started to learn music by playing the Tonbak at the age of 7. She has started to sing at the age of 10 in the presence of her father, who is expert in the radif of Iranian vocal music and playing the Ney. She has completed Mahmud Karimi’s vocal music radif under the instruction of “Mrs. Parisa” at the age of 15; in addition, passed an advanced course in the presence of her. She has entered to Tehran Conservatory of Music at the age of 18 and started to educate in the field of playing iranian musical instrument (sitar). She has Associate of Arts degree (A. ..
Mahdieh Mohammadkhani was born in 1986, Tehran, Iran and began learning music at early ages, by playing the Piano. She has a Bachelor of Architecture degree from Azad University. Mahdieh began learning the art of Iranian Vocals & Radif (Style of Taherzadeh) in 2009 under the guidance of Mr. Gholamreza Rezaie, a distinguished student of Maestro Mohammadreza Shajarian. In 2012, she was accepted into Maestro Shajarian’s masterclasses and was able to learn the teachings of the maestro in person. 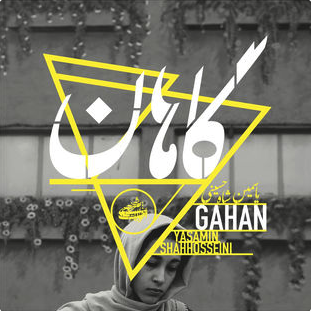 Over the years she has had the opport ..
Mahboobeh Golzari is a Persian traditional singer. She has learned singing under supervision of Saeedeh Saeedi, Parisa, Mohsen Keramati, Master Hossein Alizadeh, Mohammad-Reza Lotfi, Amir Eslami and Master Mohammad-Reza Shajarian. She has performed alongside Master Alizadeh and Ham-Avayan band in Ilam University. She has had concerts in Vancouver, Canada in 2017 and in Earth center, Melbourne, Australia in 2018. She has performed the song “Laalaayi Kordi” in the movie “Turtles can fly” directed by Bahman Ghobadi and ..
Pouria Akhavass is a musician and traditional Persian vocalist from Tehran Iran, Born in 1981, he holds a bachelors degree in Persian Literature from the University of Iran. Pouria started music when he was six years old and began singing when he was seven. Pouria loved singing to himself by listening to the older generation of Persian vocalists on the radio or with cassette tapes. In 1995 Pouria started to sing with the master Razavi Sarvestani (who was knowledgeable about Mastero Taherzadeh’s radif and Persian radif -the system of Persian classic music). Pouria was ..